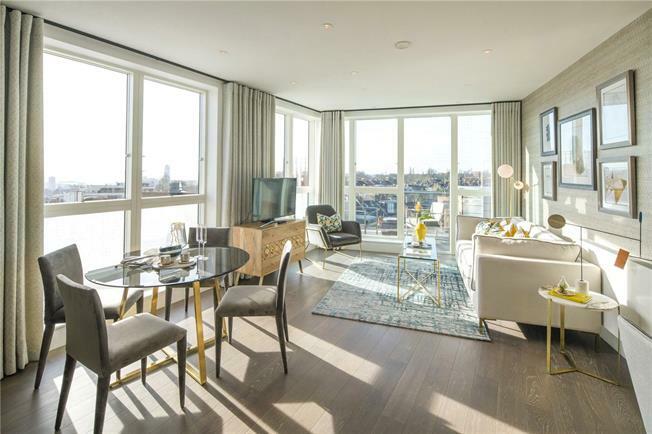 1 Bedroom Flat For Sale in London for Asking Price £525,000. A stunning one bedroom, one bathroom apartment with a balcony located on the fifth floor of Prime Place, a gorgeous new development in Kensal Rise. The apartment features a generous sized terrace, a designer kitchen with integrated appliances. The property is on the Help to Buy scheme. There is access to a communal roof terrace and the flat has a 10 year warranty.